At this time of year, all I want to do is curl up on my cosy rug in front of the fire with a good book, get early nights, take slow walks through the woods and generally, rest. What the world often asks us to do in December is to go to office parties, cook great feasts, shop for endless presents and travel long distances to attend get-togethers with friends and family. It’s beautiful, it’s fun, and most of the time it’s exhausting. Especially if you’re already navigating a health challenge or chronic illness. Plan a few hours each week that are just for you, and honour them as if they were a lunch date with a friend or a doctor’s appointment. You having a quiet, long soak in the bath, or taking a walk in the woods, or simply having an afternoon nap is just as important as everyone else’s needs. Why not give yourself permission to lay down your superwoman cloak over the holidays? It’s ok if the house isn’t tidy and the dishes aren’t done. It’s ok if everyone doesn’t get exactly want they asked for. It’s ok to say a polite no to gatherings that will drain you and to get to bed early with your favourite book. Your health is important and you deserve love and nurturance as much as everyone else. 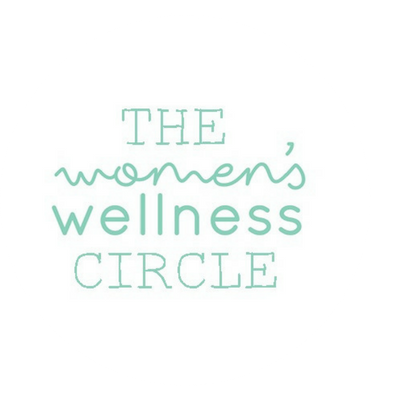 Many of The Women’s Wellness Circle community have digestive health issues and food intolerances, and for them, the holiday period can be a bit of a nightmare. Not only because the traditional foods we eat at this time of year are full of gluten, dairy, and other triggering foods, but because you have to deal with family members who may have difficulty understanding your food needs (to put it politely). So, to help you out, we found some great seasonal gluten free / dairy free / nut free recipes that may work for you. A gluten free, dairy free take on this Winter classic. A great alternative to all the Christmas stodge. Use gluten-free lasagne sheets and breadcrumbs to make this yummy vegan bake even kinder to your system. This could replace Turkey if you’d like something vegan and/or lighter. At this time of year, everything in Nature is resting. The fruit and leaves have fallen from the trees, and all of their energy is now in their roots and their heartwood. It can be a potent time for review and reflection, so you may like to carve out some time to come home to your own ‘core’ by looking back over the past year. You could journal with these questions; what are you celebrating? What are you grieving? What are you ready to release? You could perhaps perform a simply release ceremony, such as writing your answers on a piece of paper and then burning it, before spending time reflecting on what you’d like to invite in and experience in 2018. 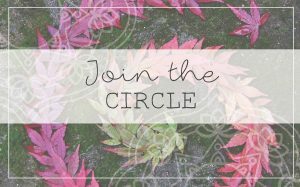 Kate is a member of The Women’s Wellness Circle Community and she sent us this message in September. We were so inspired by her radical self love that we decided to share it with you all. Obviously Christmas is a very important spiritual event for many people, but the commercial mayhem that surrounds it can be so depleting. So Kate decided to simply opt out of it all! Whether her story encourages you to be equally radical, or it gives you the courage to take more time for rest and quietness over the Winter period, we hope it inspires you. “In September 2012, sitting one evening watching Gardeners’ World, I became aware I had become completely distracted by a gnawing anxiety about Christmas. Yes, in September! Does that sound familiar? I recalled a delightfully eccentric old lady I had once known in Cornwall, who told me in a rich dialect that she did not enjoy Christmas because she preferred “ordinary goings on”. For those of us with debilitating chronic conditions “ordinary goings on” is about as much as any of us can manage at the best of times, and I have a hunch that many of us do not relish the noisy intensity of our culture’s version of Christmas at a time of the year when our instinct longs for candles and whispers. So for the past five years I have chosen, with my husband, to ignore Christmas‎. I realised that it had little relevance or resonance for me any more midst the tranquil darkness of Winter. For two decades I have followed the Celtic Wheel and pause every six weeks in rhythm with the seasons. If I have sufficient energy to socialise and be merry then it is far more likely to be during the expansive and light months of Beltane and the Summer Solstice. I know that the first thought most women have when faced with this decision is their family. I have five grandchildren and I simply explained my decision to my family and assured them that I loved them dearly and would pop up and be ‘fun’ spontaneously at other times and seasons, as I danced with the energies of the year. It is far simpler and more satisfying to buy an impulse gift for a beloved and surprise them “because it’s Thursday and I love you” than to face the exhaustion and stress of long shopping lists and feelings of obligation to socialise beyond my energy levels and inclination. I admit the first year felt awkward, it is surprising just how conditioned we are in this respect and how easily we as mothers can feel guilty, not wanting to be seen as “selfish”. 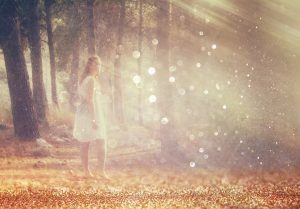 One thing I am learning on my healing journey is to ask, “how do I want to feel?”. Increasingly I have a feeling of relief that I can allow myself to go down and in without the contradictions of all the many “ought-to’s” and “shoulds” that afflict so many women at this time of the year and this brings me a sense of ease which I want to fiercely protect. Although I eschew completely the commercial razzmatazz of “Christmas”, I wholeheartedly embrace the beauty of winter solstice and enjoy creating a soft ambiance in my home that supports this time of inner reflection and stillness. Contrary to what some folk have inferred, it is not about being a Scrooge and disapproving of pleasure and generosity, it is about choosing what heals and nurtures me, my marriage and my home. May this Winter be a powerful, restful, healing time for you and your loved ones. Receive our free ‘Five Steps to Reclaim Your Health’ course now – an inspiring and practical mini-course for women with chronic health challenges who want to live a healthy and purposeful life. Sign up for free here!